Tax Accountant in Surrey, helping the self-employed. Surrey Accountant making tax easy. Affordable fixed-fee packages for the self employed. Covering the tax return, accounts and ongoing support. 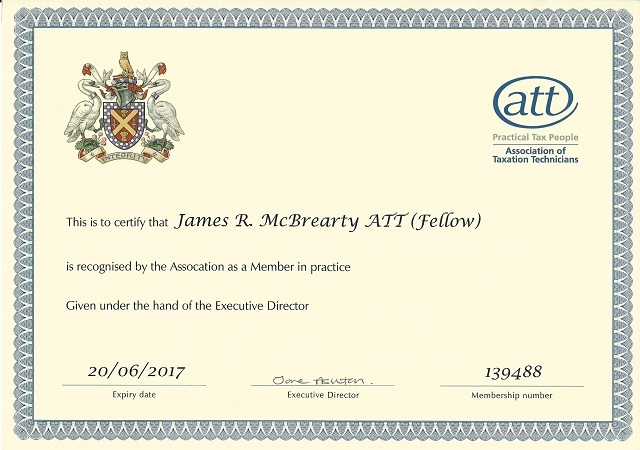 I am a Fellow of the ATT(Association of Taxation Technicians) – the largest body in the UK for helping people with their tax, with over 12,000 Fellows, members and students. As we move towards more digitalisation of the tax system, it is important that you are kept up to date with changes that could affect you – well in advance of them coming into force. As well as being a Fellow, I am also registered with the ATT as a member in practice – this is an additional annual registration requirement and I have just renewed for 2016/17. I’m also registered with the Association of Taxation Technicians for the purposes of anti-money laundering legislation. I’m based in Cobham, Surrey. I specialise in helping the self-employed with their self-assessment tax returns and accounts. Whether you are just starting out, or are looking to grow your existing business, I can help. I have a range of fixed-fee packages so you know up front what the cost will be. Meetings can be held in Cobham, at your home, or other convenient location in Surrey. I can also help you remotely, so there is no need to take time away from your business. I was one of the winners of the 2014 Small Business Saturday 100, resulting in an invite to Downing Street. In 2018, I also attended an event to celebrate small business at Number 11 as a guest of Philip Hammond. I received an invite to St James's Palace in 2018 from HRH The Duke of York for the formal launch of the Silver iDEA award. I also hold both Silver and Bronze awards myself, as well as the Silver Star too. I have also won several awards in the Surrey Digital Awards from 2015 - 2018. Competitors in the awards included much larger businesses throughout Surrey.